Greetings earthlings! This is Time & Relative DISCUSSIONS In Space (TARDIS), a Doctor Who podcast brought to you by the Taylor Network of Podcast. Join The Captain and his two faithful companions Paul Shearman and Darrell Taylor as we embark on adventures through space and time. 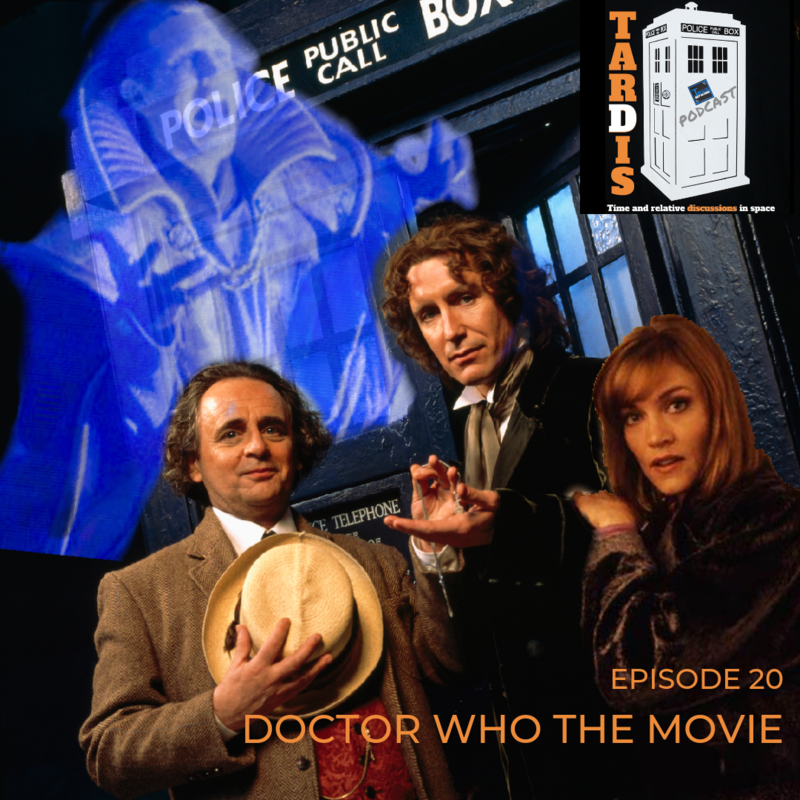 We discuss the 1996 classic Doctor Who The Movie, introducing the Eighth Doctor! This podcast is for fans both old and new of the show and we want you to be part of the discussions by tweeting us at @tardispodcast or emailing us at Tardispodcast@gmail.com. We love to hear your comments and answer your questions.